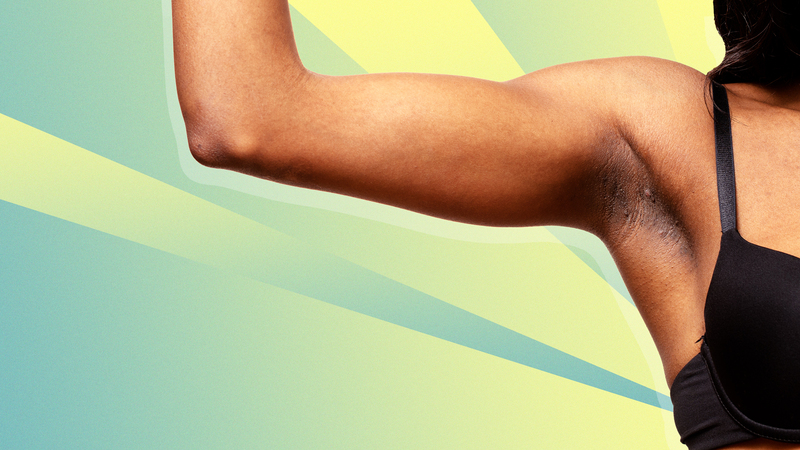 Should You Try Armpit Detoxing? Image: Image: Michaelheim/Shutterstock. Design: Ashley Britton/SheKnows. These days, it seems like people are trying to detox everything from their homes (thanks, Marie Kondo!) to their bodies. The latest to seemingly require a reboot is our armpits. Yes, that much-ignored area has garnered its very own hashtag on Instagram. (Just search #armpitdetox to see what we mean). Proponents of the movement say that by exfoliating, using clay masks, and all-natural deodorants, you can help toxins leave the body and improve health in that area. But before you cue up a Google search to find the perfect blend of volcanic ash, vinegar, and baking soda to slather on your underarms, let’s check the facts. Does it make sense to detox our armpits? The popularity of deodorants has seen an uptick in the last few years, and this could be due to the controversy surrounding the use of aluminum, which is present in antiperspirants. The Environmental Working Group, a nonprofit that researches chemicals and pollutants in food, the environment, and skincare products, rate some of the ingredients in antiperspirants from low to high hazard. “Most people want to avoid aluminum, which is what stops you from sweating in antiperspirants, but isn’t usually present in deodorants,” says West. “The science around aluminum is far from clear or conclusive, but my philosophy is to avoid anything that has a question mark hanging over it.” Just remember that deodorants tend to be wetter than antiperspirants and that may take some getting used to. In other words, plan to shower immediately after your next CrossFit class. However, know that antiperspirants do change the bacterial growth on our skin. One study found that those who use antiperspirants have fewer bad bacteria than those who use deodorant or go bare. Researchers discovered that among study participants who skipped underarm protection there was increased growth in Corynebacterium, which though responsible for odor also may help the body to defend itself from pathogens. Looking to remove the excess gunk left over from your antiperspirant or deodorant? Keep in mind that it’s a very delicate area, so proceed with care. Using an exfoliator, mask or scrub may do more harm than good. “Too much scrubbing won’t help with detoxing at all but may cause you pain, redness and irritation,” West says. Instead, make sure to cleanse the area — especially if you have been sweating a lot — to remove oils and bacteria because they can cause odor. It doesn’t have to get complicated, since good old soap and water does the trick. Also, never dry shave, which will lead to burning and irritation. Treat your underarms as you would all the other sensitive areas on your body.